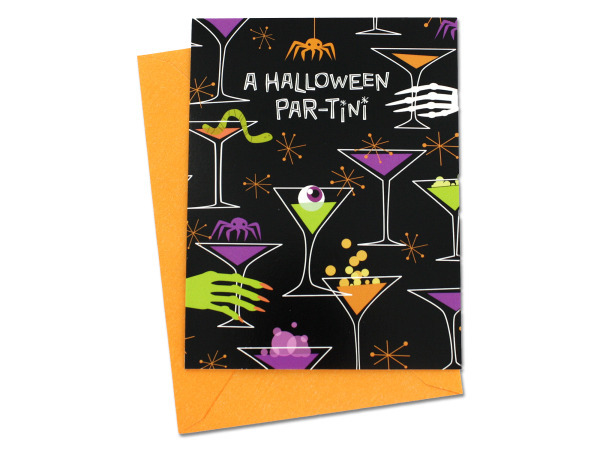 Invite friends and family to a Halloween bash with these fun invitations. Feature martini glasses, skeleton hands, eyeballs and spiders. In festive Halloween colors like orange, black, purple and green, this pack of invitations includes 10 each invitations and envelopes. Measure 4" x 5".